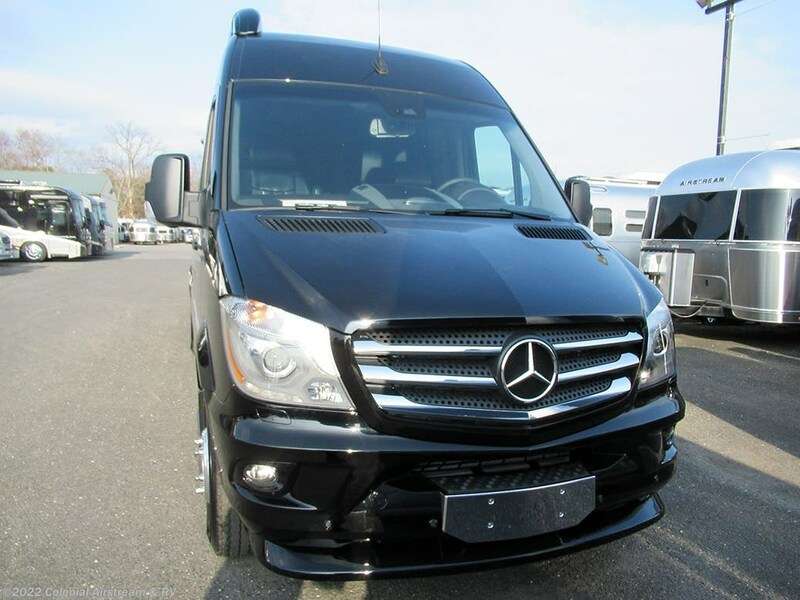 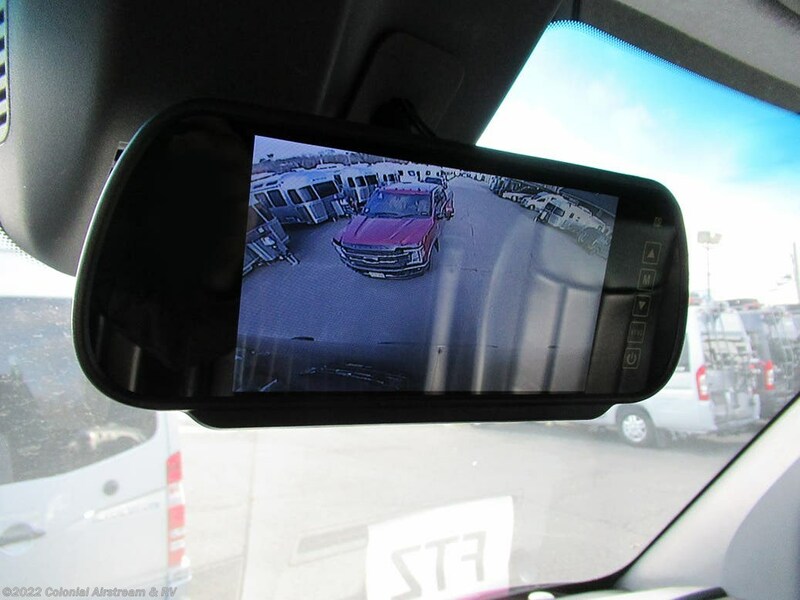 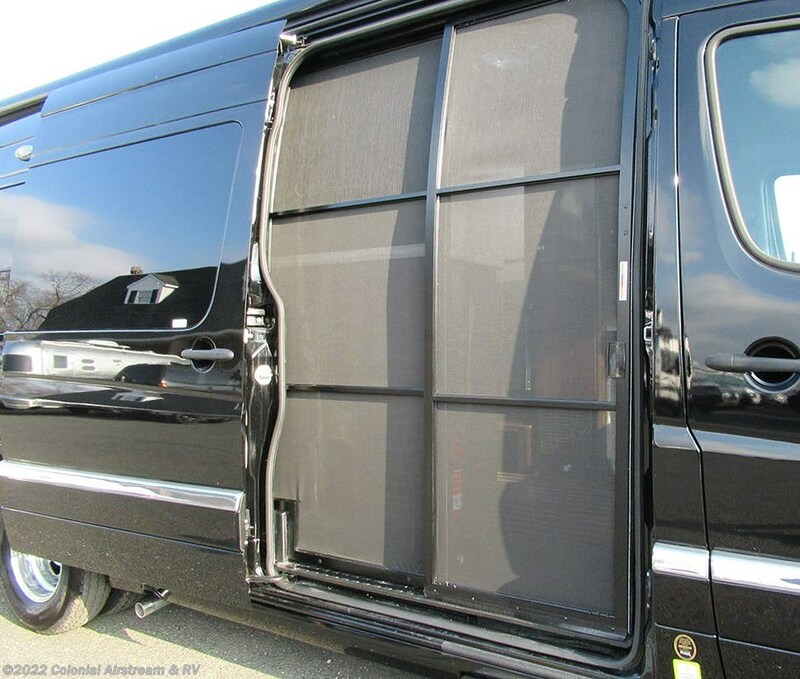 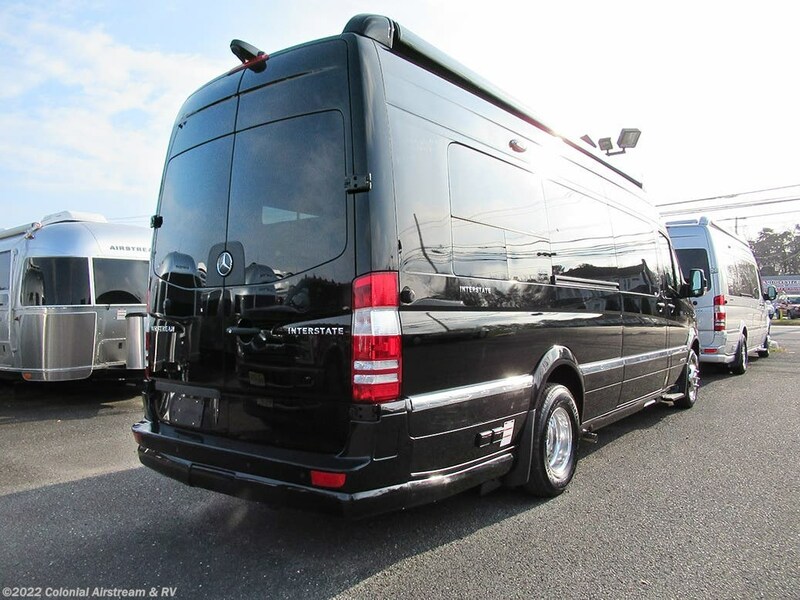 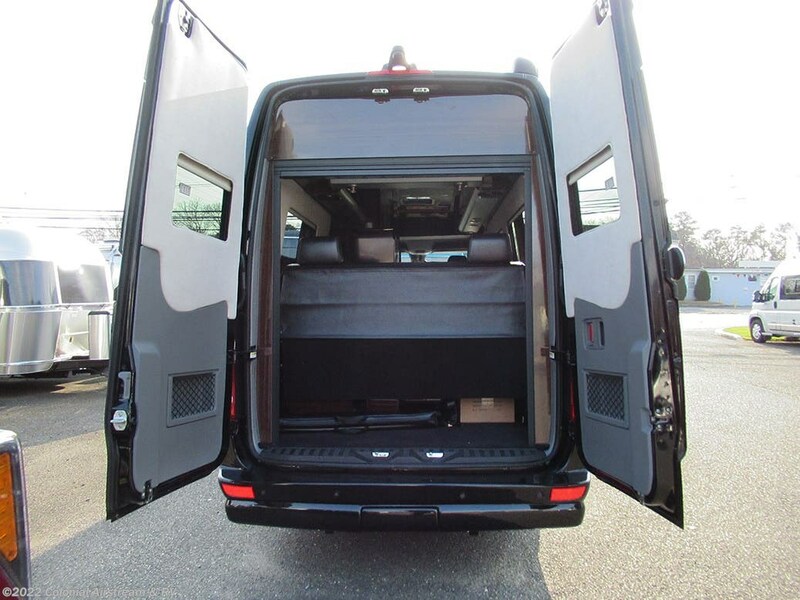 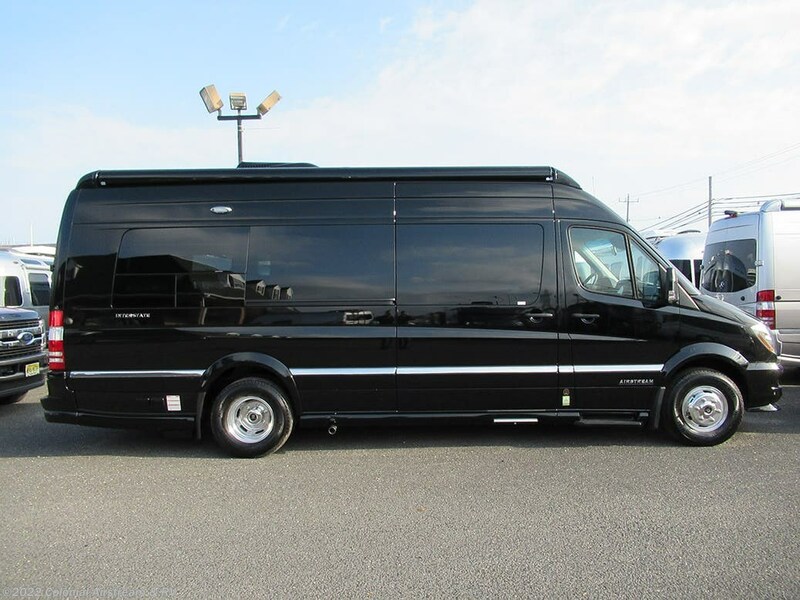 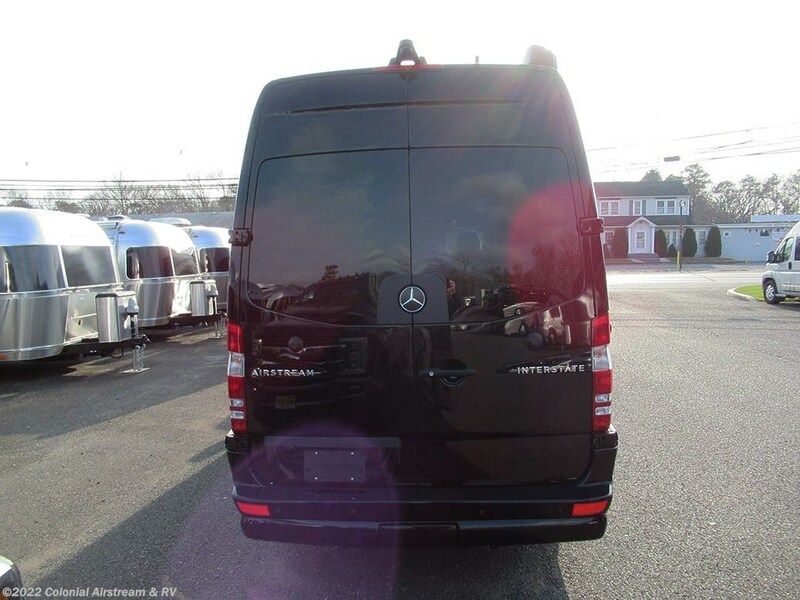 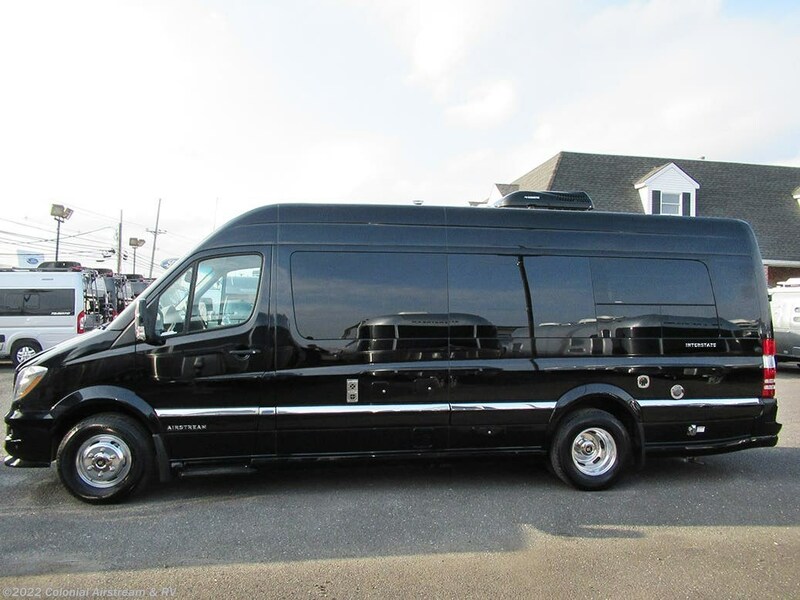 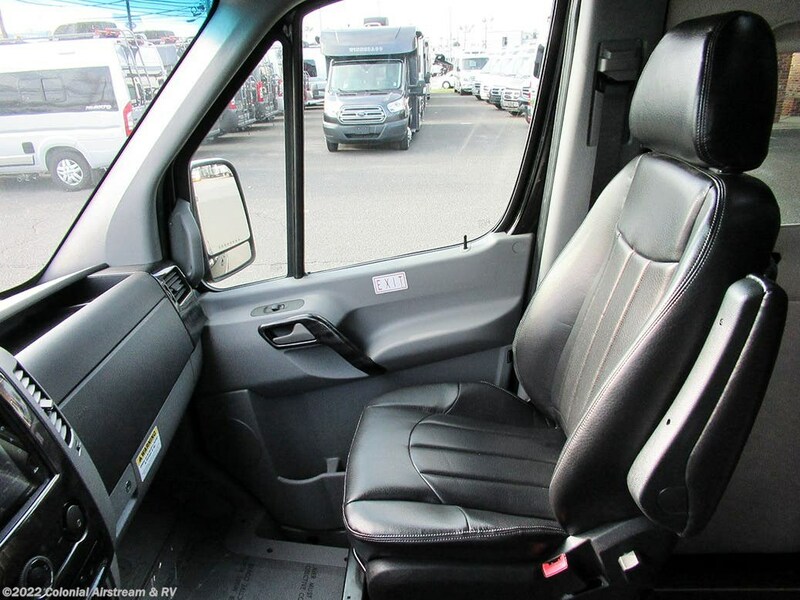 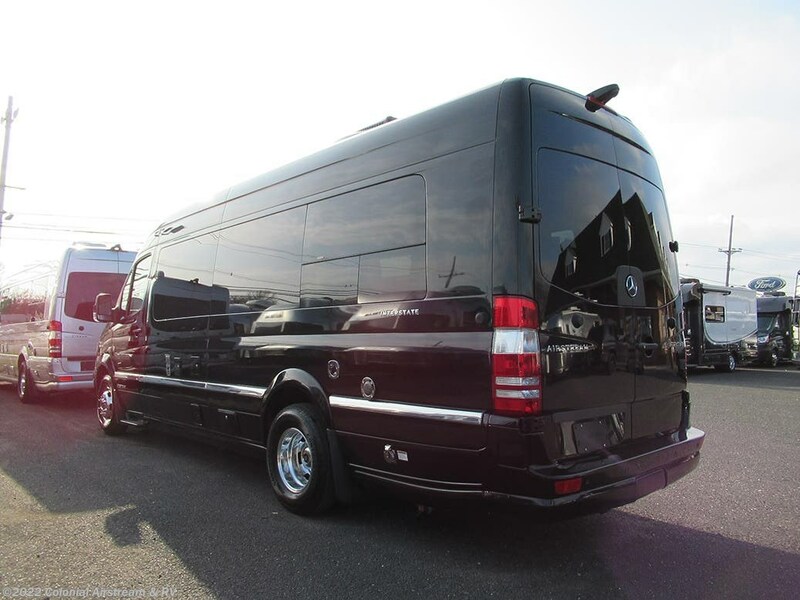 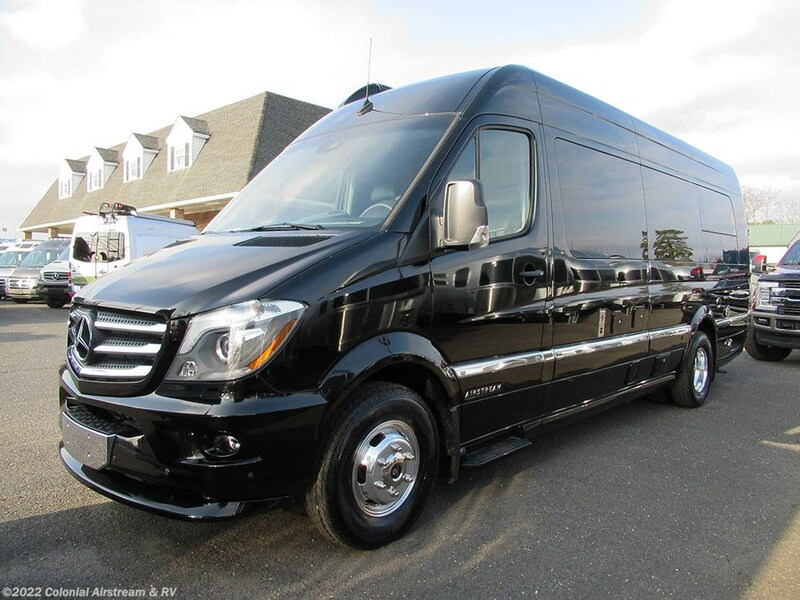 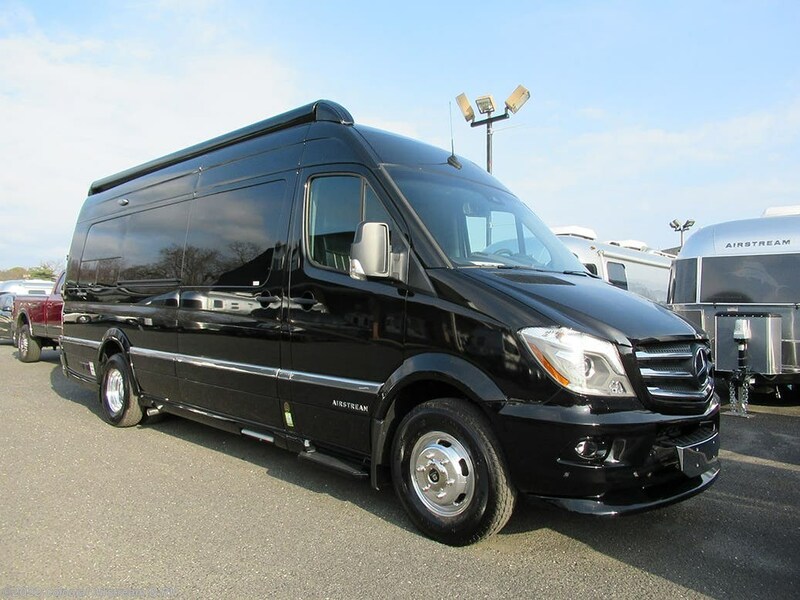 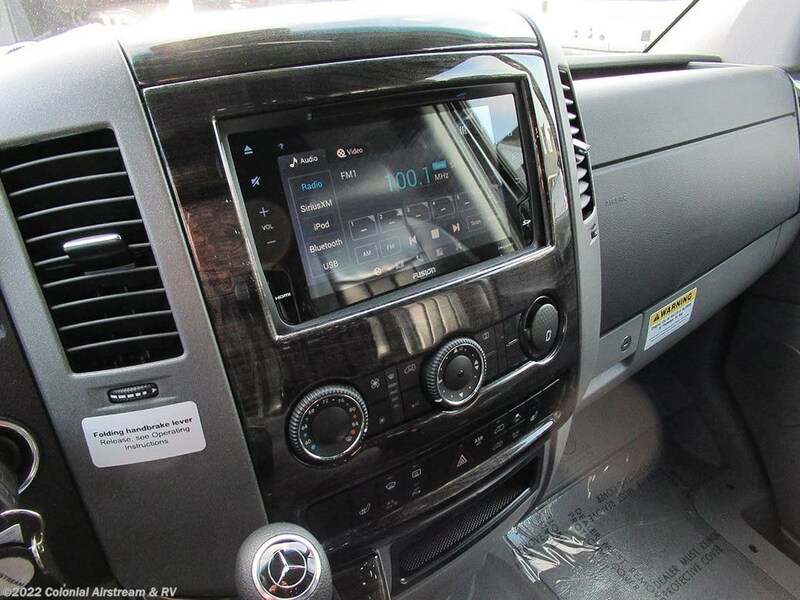 3500 Series Mercedes Sprinter Van w/Unibody Construction • Mercedes 3.0 Liter Turbo V-6 Diesel – 188 hp @3800 RMM, /325 ft/[email protected] 140 -2400 RPM • 5-speed Automatic • GVWR 11,030 lb • GCWR 15,250 lb • Traveling Seating Capacity: 9 (EXT Lounge); 7 (EXT Grand Tour) 2 (EXT Grand Tour Twin) • 170” Wheelbase • Rear Window Defrosters • 50 State Emissions • 24.6 Gallon Fuel Tank • Radial Tires • 220 Amp Alternator • Alcoa Dura Bright Aluminum Wheels • Full Size Spare Tire w/Crank Down Winch • Maintenance Free Chassis Battery • Push Button Battery Assist • Vertical Weight Limit of Hitch – 500 lbs • Typical Tow Capacity – 4,200 lbs – 5,000 lbs • Hitch Receiver and Wiring • 74 ¼” Interior Head Room • 70” Interior Width @ Floor • 24′ 4.5" Exterior Length • Call Colonial RV For the Best Price 800 265-9019 • 79.7” Exterior Width • 9’ 7” Exterior Height w/Antenna • Locking Fuel Fill Door • Body Insulation • Bi-Xenon Headlights • Headlight Washer System • Headlight High Beam Assist • Parktronic – Audio and Visual Front & Rear Parking Assist • Lane Keeping Assist • Collision Prevention Assist • Blind Spot Assist • Rear View Camera integrated in Third Brake Light, Side View Cameras integrated in Side Mirrors, Rear View OE Style Monitor with Rear and Side Views with Back-up and Lane Assist Guidelines • Child Tethers (Mid-Captains Chair(s) EXT Lounge). 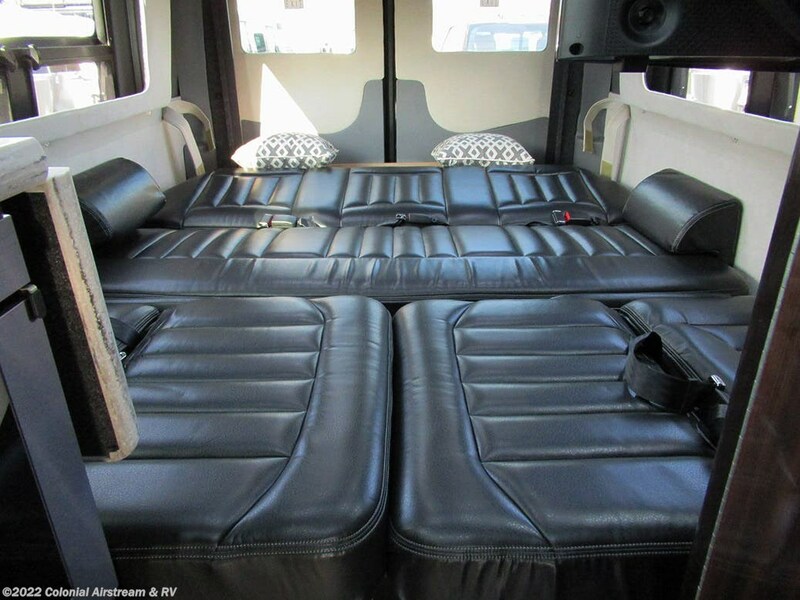 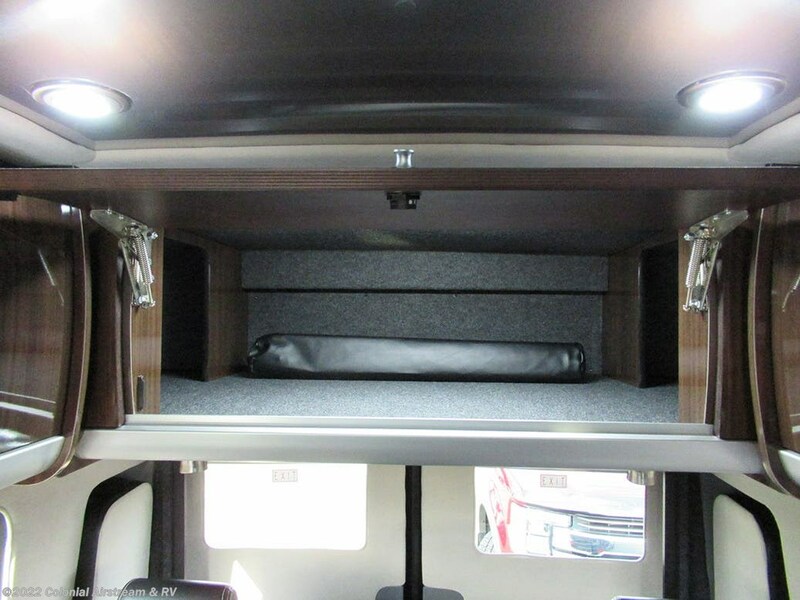 Power Rear Sofa w/Ultraleather Foam Memory (Converts to 70"X82" Bed – EXT Grand Tour) • Twin Beds w/ Memory Foam Pillow Top (27"X82") Can Convert to 70"X82" Bed – Grand Tour Twin) Overhead Wardrobe • Call Colonial RV For the Best Price 800 265-9019 • Rear Under Sofa Pass Through Storage (N/A Twin Models), Under Twin Bed Storage Compartments, Drawers, Lockable Drawer (1) (Twin Models Only) Rear Hidden Floor Storage (29" X 12" X 12") – N/A Twin Models or with Air Suspension Option). 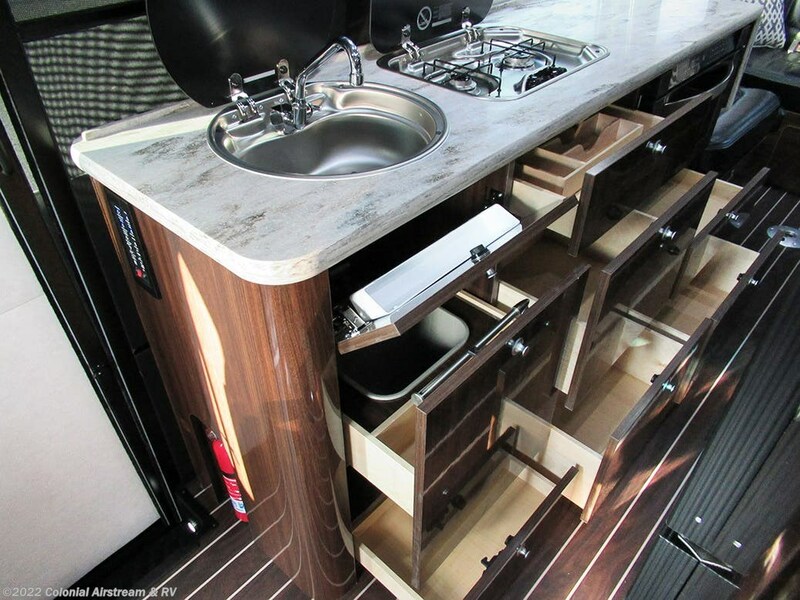 2-Burner Cooktop w/Cover • 3.1 Cu. 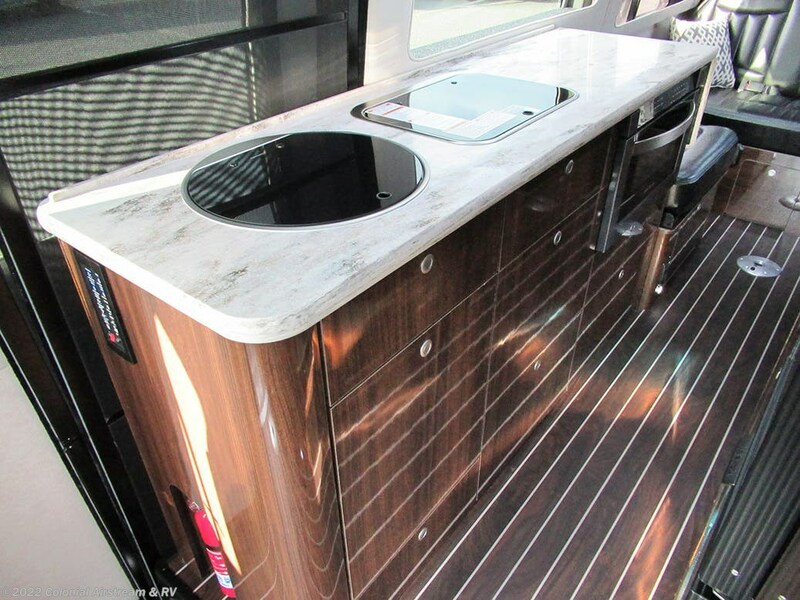 Ft. Refrigerator (12V/110V) w/Aluminum Insert • 3.1 Cu. 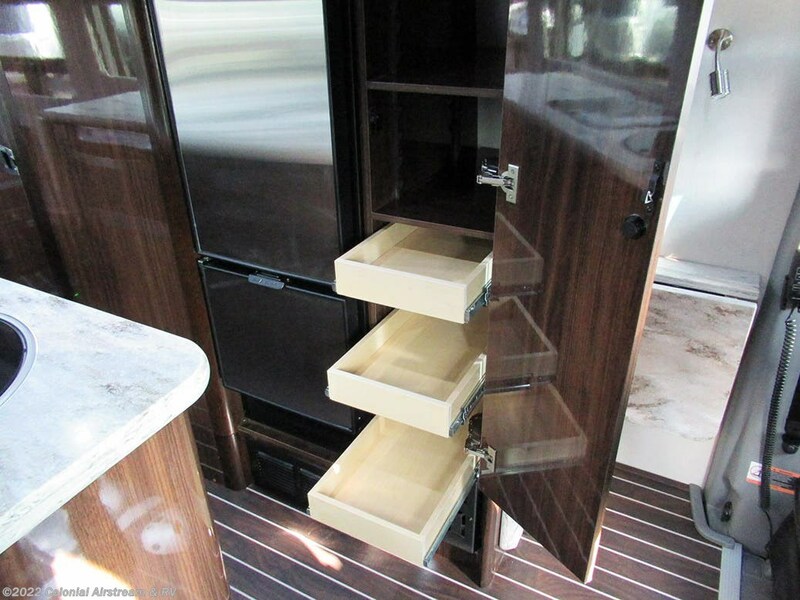 Ft. Freezer (12V/110V) w/Aluminum Insert (EXT Grand Tour & EXT Grand Tour Twin), • 1.3 Cu. 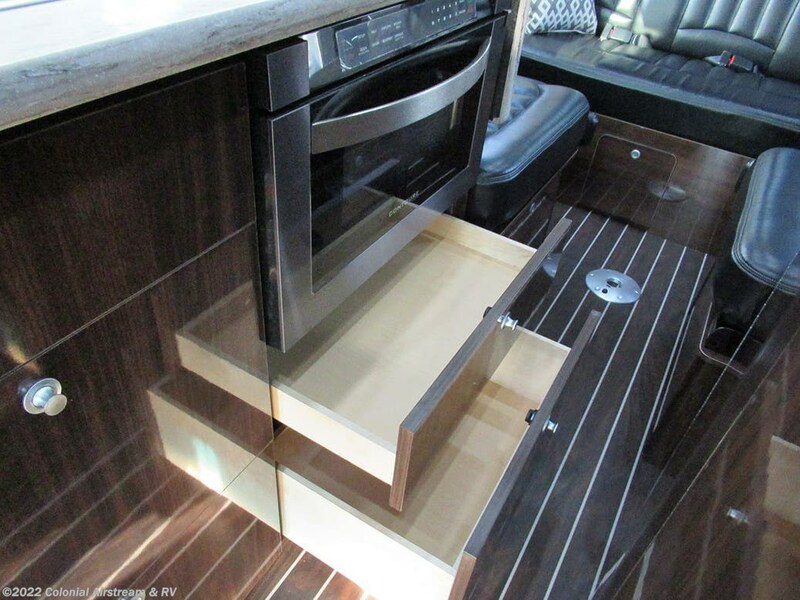 Ft. Drawer Microwave Pullout Drawer Microwave New Browner/Grill Feature/ 1400 Watts, Cooking Capacity/1000 Watts • Call Colonial RV For the Best Price 800 265-9019 • 13,500 BTU Low-Profile Air Conditioner w/Wall Thermostat • Omni-directional TV Antenna • Antenna Booster • Cable TV Hook-Up • Smoke, Carbon Monoxide & LPG Detectors • Satellite Dish/Receiver Prewire • 22” HD LED TV w/HDMI Cable • HDMI Out For Hooking Up Exterior Entertainment • 28" HD LED TV (front EXT Lounge Series) • Blu-Ray Player • 16,000 BTU Furnace • Tankless Suburban Water Heater LP. 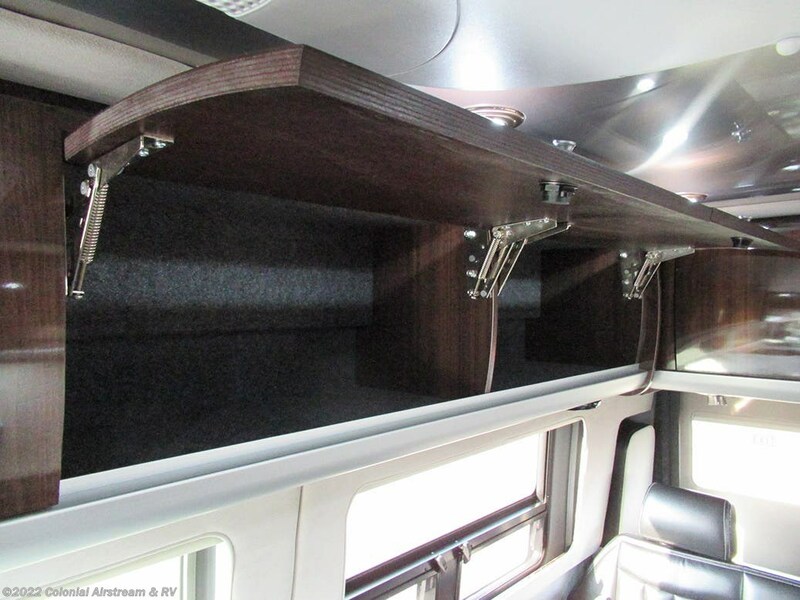 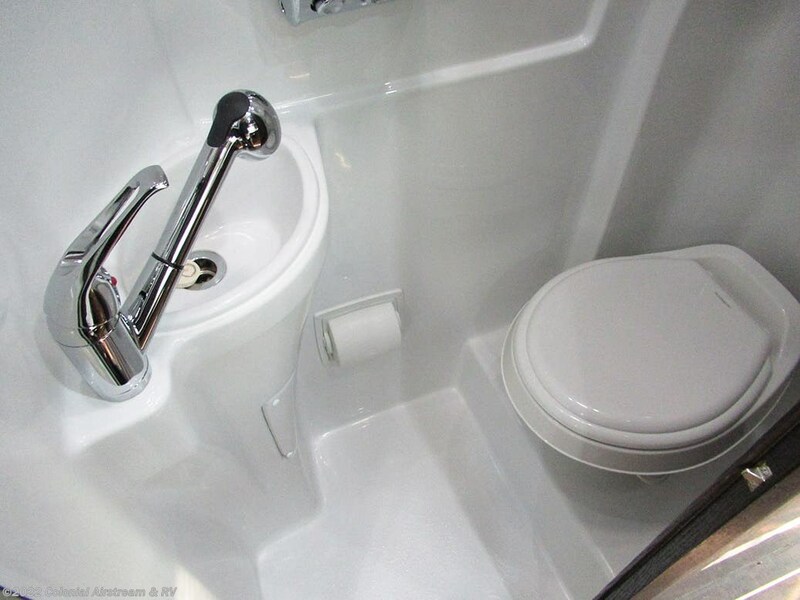 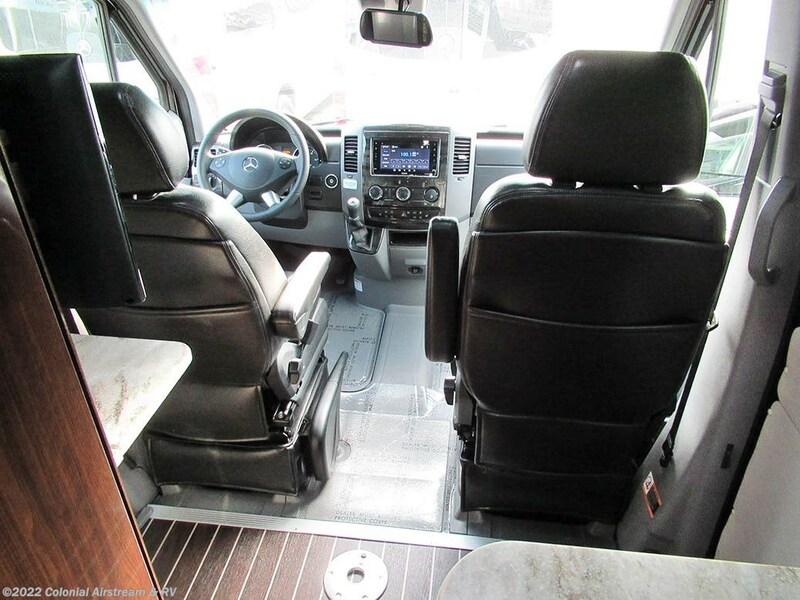 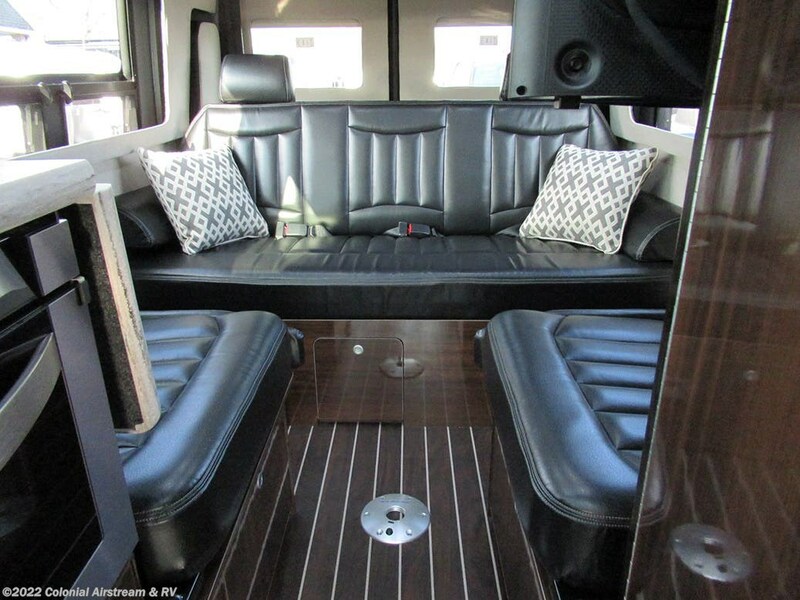 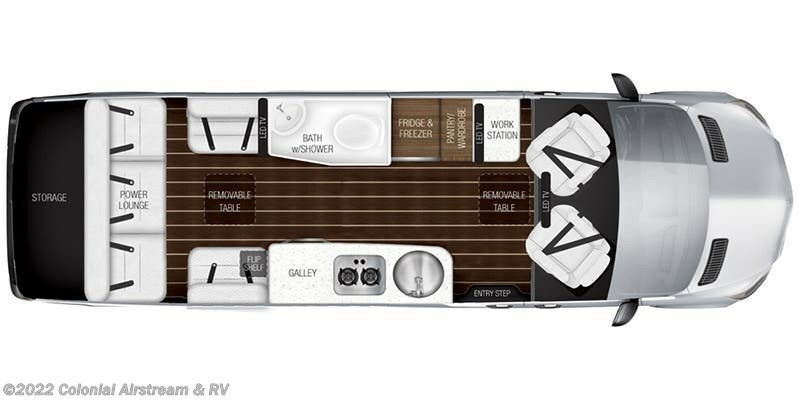 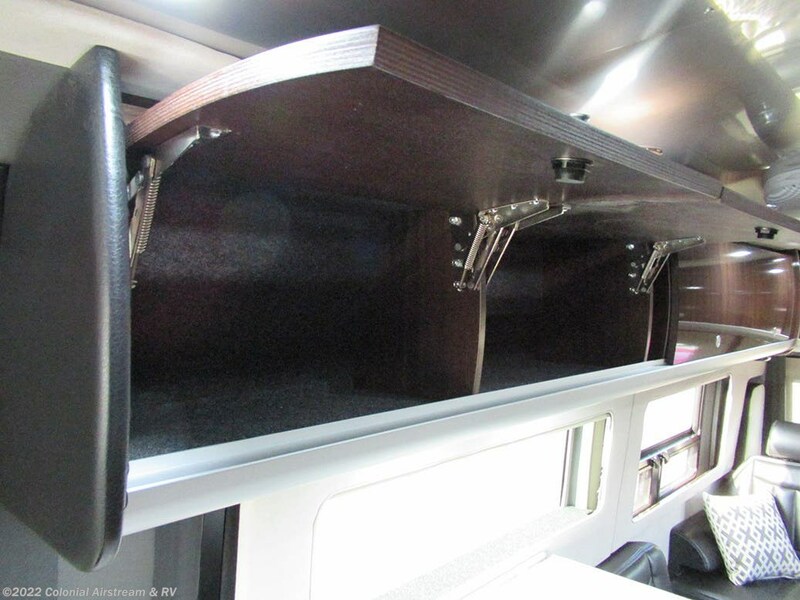 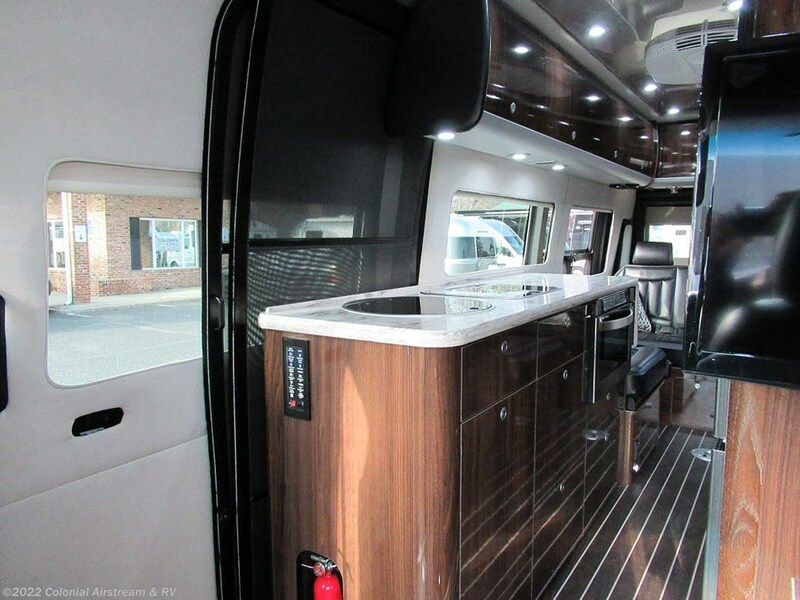 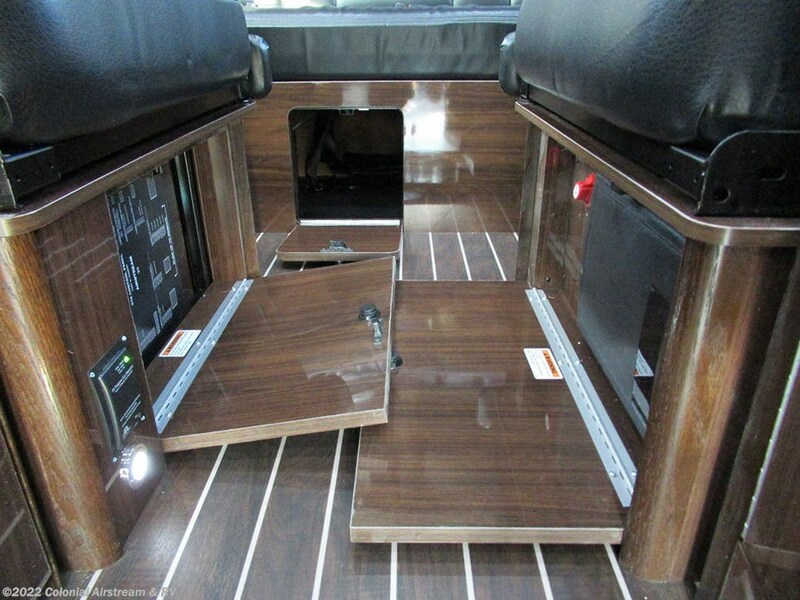 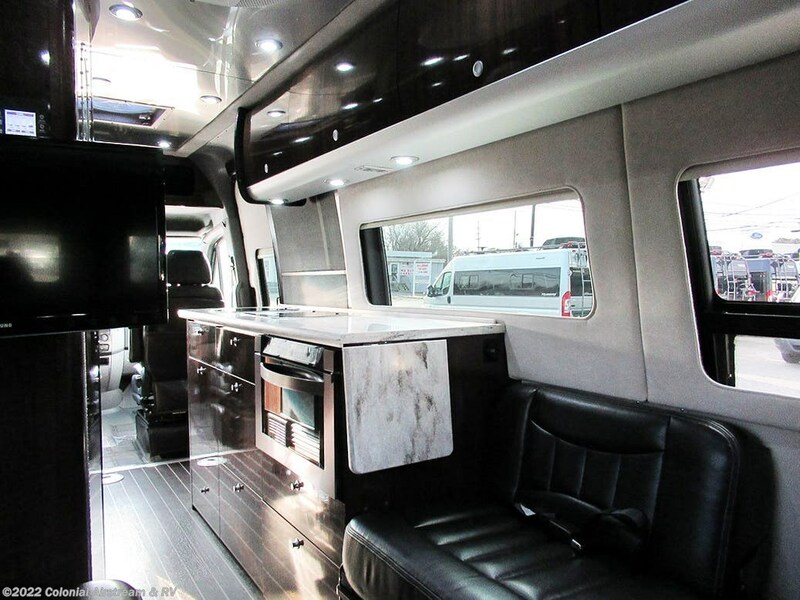 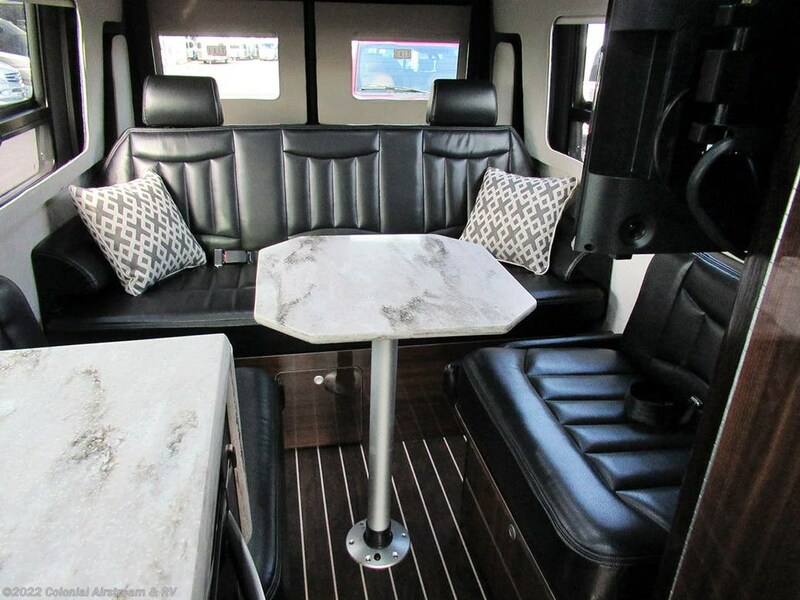 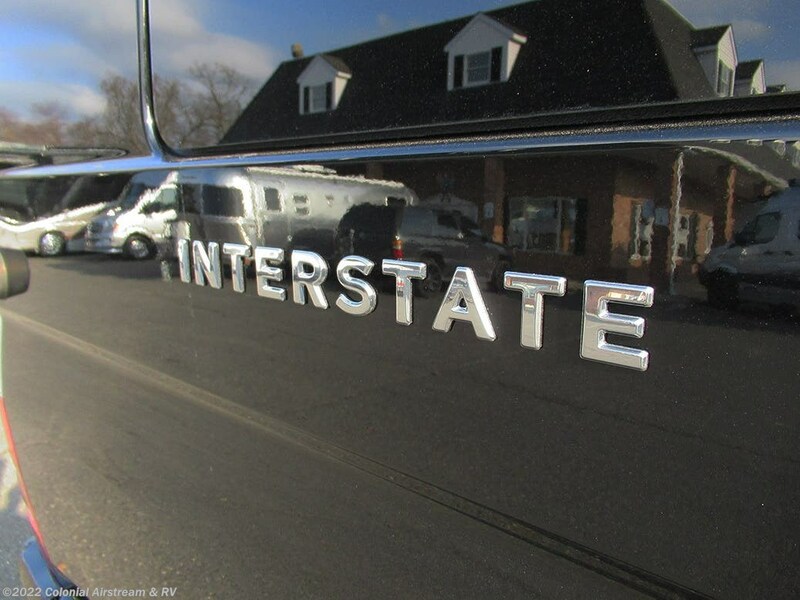 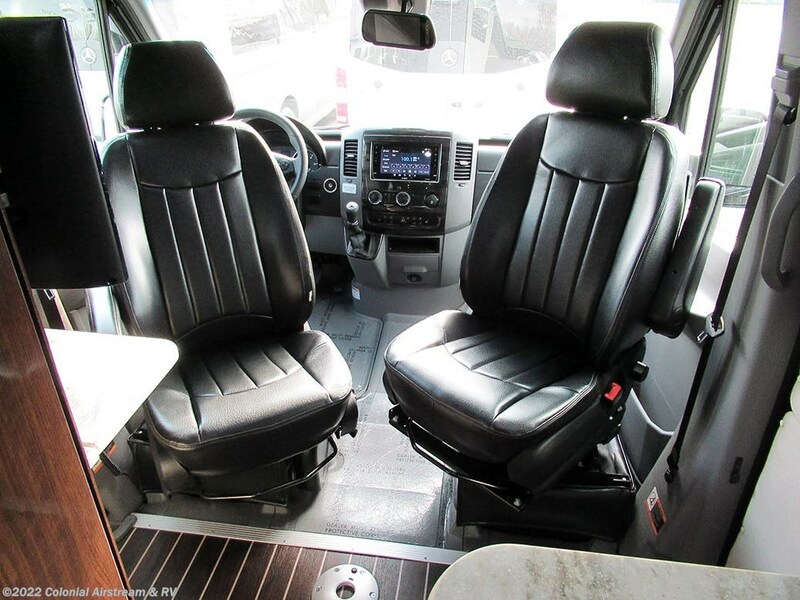 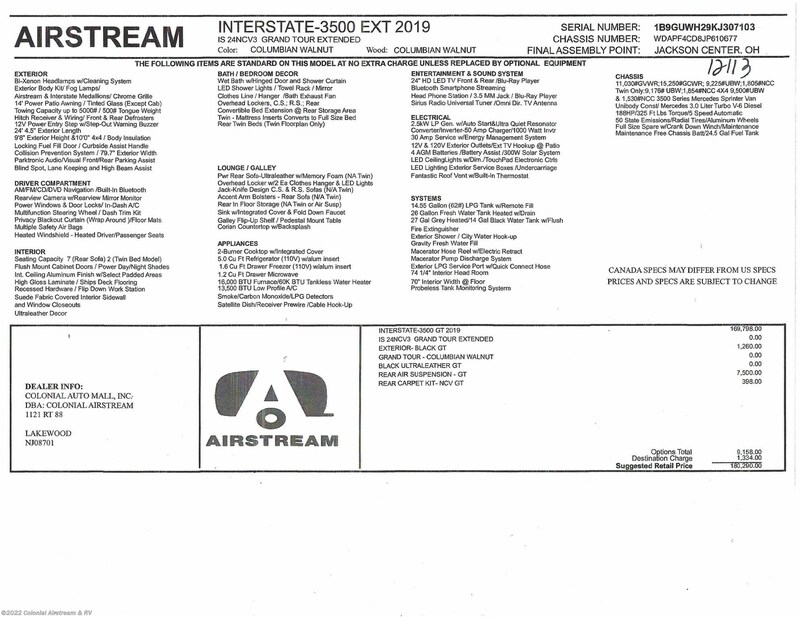 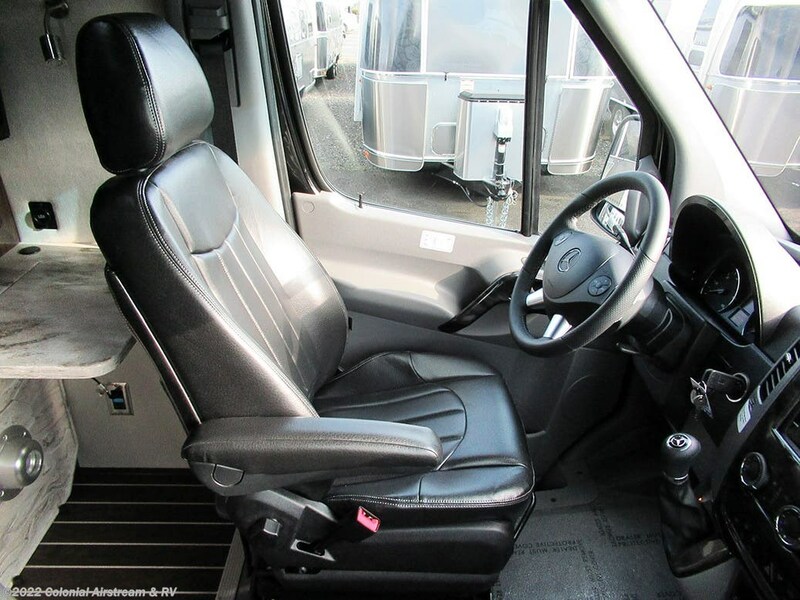 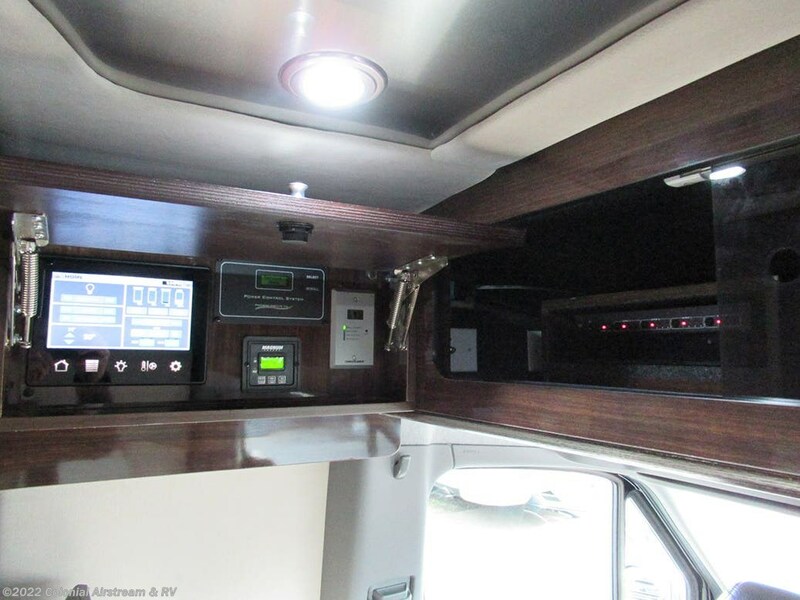 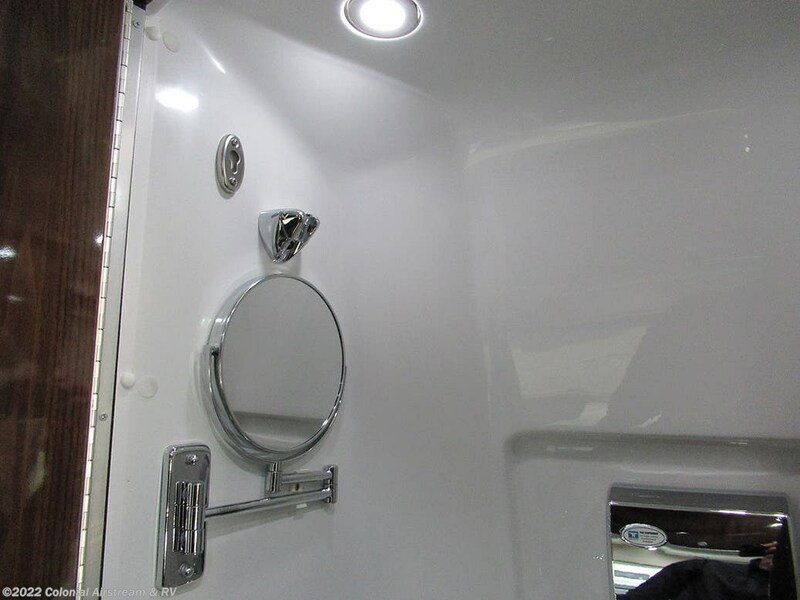 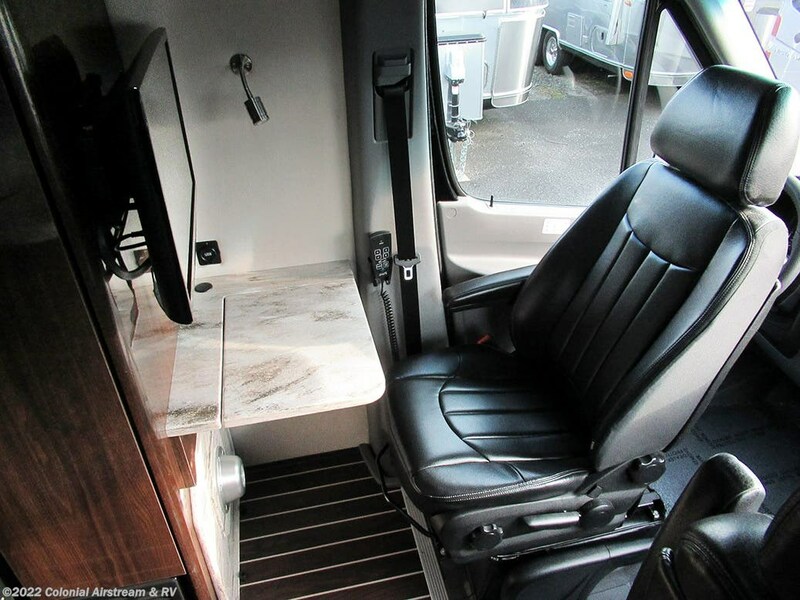 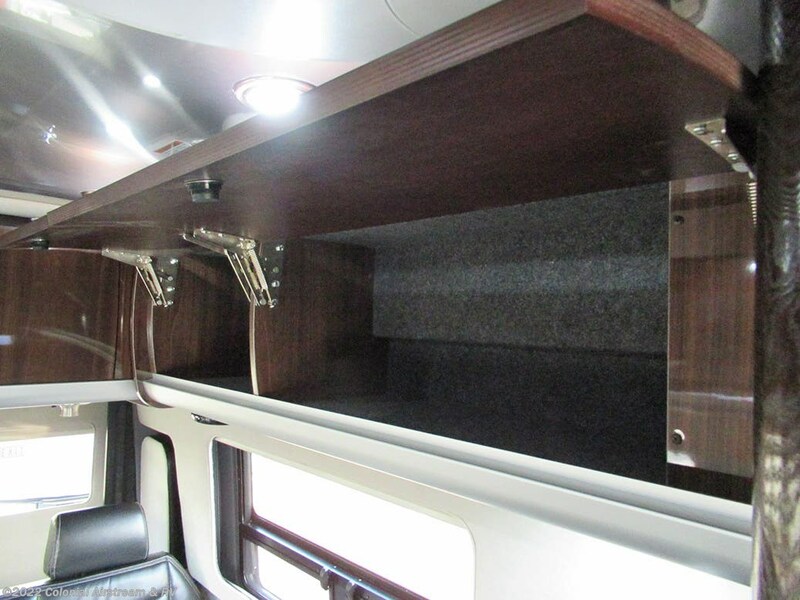 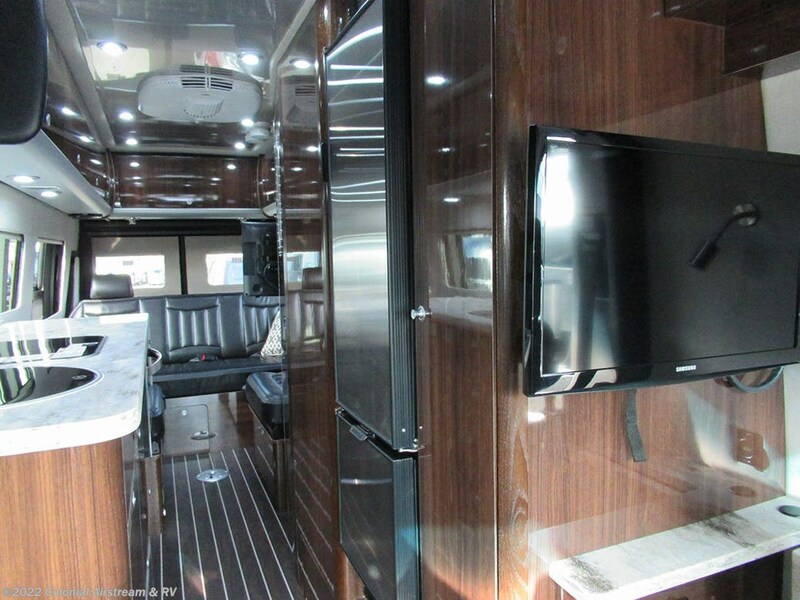 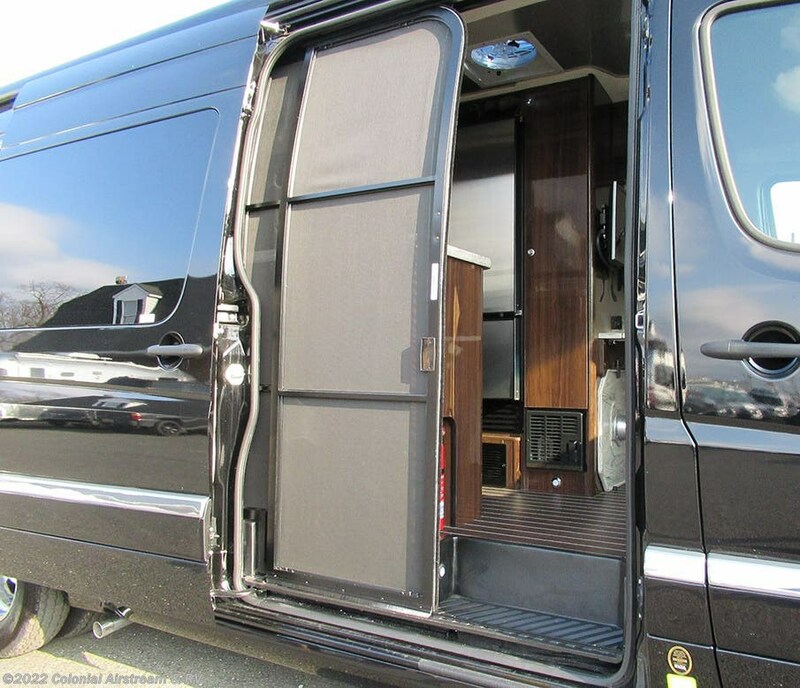 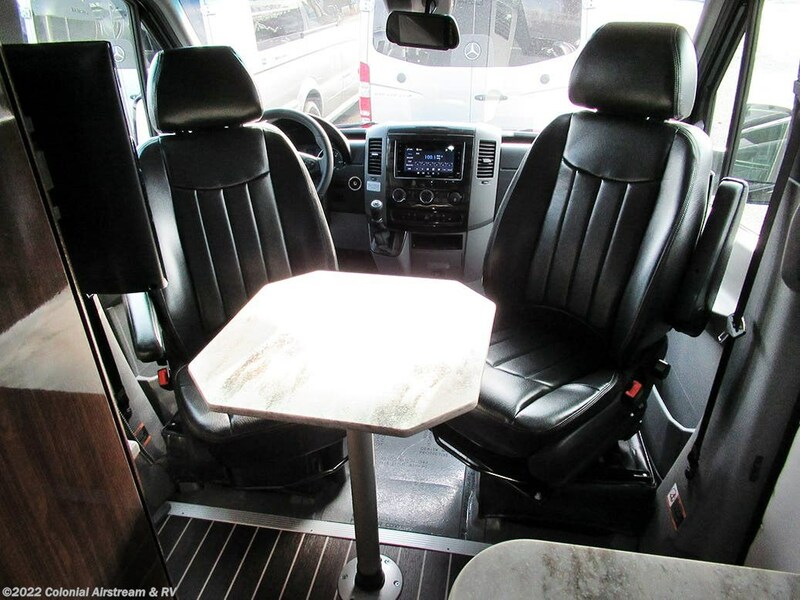 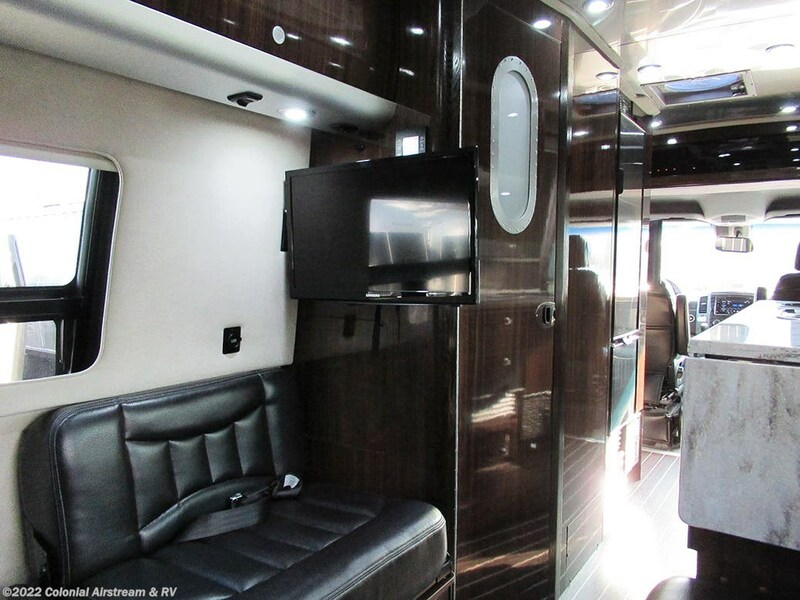 Check out Stock # 12113 - 2019 Airstream Interstate Grand Tour EXT AS on airstreamrvsource.com!